Fiat Chrysler Automobiles said its second-quarter net income rose 69 percent to 333 million euros ($364 million) on a strong performance in North America and record global Jeep sales. Second-quarter revenue grew 25 percent to $32.03 billion, the company said in a statement today. Globally, FCA said it delivered 1,193,000 vehicles in the quarter, up slightly from 1,181,000 during the same quarter last year. In the NAFTA region, FCA reported adjusted earnings before interest and taxes of $1.45 billion, more than double the $651 million it earned during the same period last year. NAFTA revenue grew 40 percent to $18.8 billion from $13.4 billion last year. The company reported cash of $23.44 billion, down from the $25 billion it reported a year earlier. FCA said it had a gross industrial debt of $35.31 billion, down from the $36.89 billion it had at the same point in 2014. 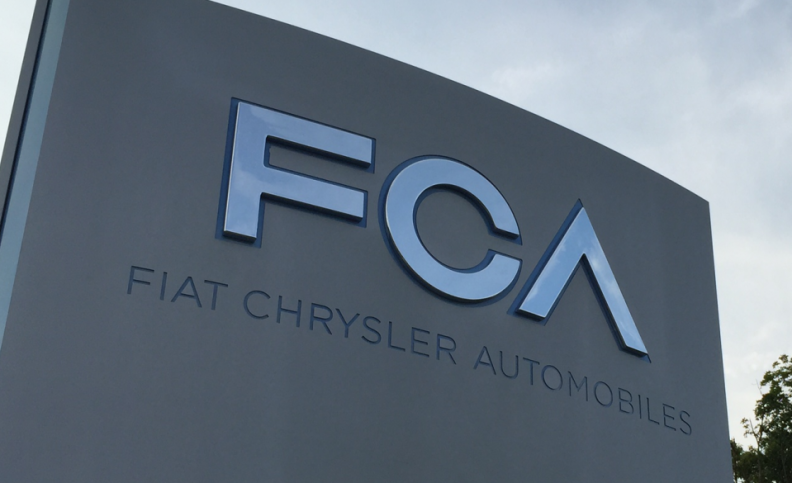 FCA adjusted its full-year outlook given previously to increase its total revenue guidance to above $120.5 billion, its worldwide shipments estimate to 4.8 million units, and its adjusted earnings before interest and taxes guidance to over $4.93 billion. FCA left unchanged its guidance on adjusted net profit ($1.1 to $1.3 billion) and net industrial debt ($8.22 to $8.77 billion). The company said it had improved its margin in North America to 7.7 percent in the second quarter, up from 4.9 percent during the same quarter of 2014. Earlier this year, FCA increased its wholesale vehicle prices to dealers by 1 percent in an effort to improve its margins. For the first half of 2015, FCA said its North American margin improved to 5.8 percent from 4.1 percent a year ago. The company also said that it had booked a charge of $88.8 million related to the wide-ranging consent order it had agreed to earlier this week with the National Highway Traffic Safety Administration. The consent order covered FCA’s conduct in 23 previously announced recall campaigns and involved fines, vehicle buybacks and increased oversight. In a conference call with analysts, CEO Sergio Marchionne clarified the ramifications of FCA’s consent order with NHTSA. He said that the repurchase program covering some Ram trucks involves a maximum of about 175,000 vehicles that have not yet been repaired, and said that the overall costs were not expected to top $20 million. Marchionne also said that there were “no excuses” for FCA’s failure to comply with NHTSA’s reporting requirements less than 100 percent of the time, and said the company has an “obligation” to deliver safe vehicles to its customers. Efforts to improve North American margins had been successful, but more work is needed to catch up to rivals Ford Motor Co. and General Motors. “We have a long way to go to close the [North American margin gap] with our competitors.” But Marchionne cautioned investors “not to fall in love with these numbers as to what this machine can produce” when markets turn downward. FCA is not postponing future products, but is “being incredibly careful on development of the new pickup truck, given the competitive nature of that segment.” Marchionne did repeat that the next-generation Grand Cherokee is being postponed for further development. The company hasn’t changed its capital expenditure plans for the reintroduction of Alfa Romeo globally, but said FCA is looking at sharing the platform that it has developed for the Alfa Giulia “with other rear-wheel drive” brands. The slowdown of sales of imported vehicles in China “is a permanent shift” that is affecting Maserati and Jeep, but that should be offset by planned local production in China beginning later this year of the Jeep Cherokee and later the Jeep Renegade. Ram has effectively “sold out” of its 3.0-liter EcoDiesel diesel engine in the Ram 1500, which is limited by engine availability.